We're pursuing four strategies as we work to increase retail opportunity. At Walmart, we are passionate in our belief that retail can be an engine for economic mobility. Three-quarters of our U.S. store management teams began as hourly employees. In the U.S., where approximately 90 percent of the population lives within 10 miles of a Walmart store or Sam’s Club, we are a source for advancement in thousands of communities, providing a wide variety of career opportunities for people of every background. Providing opportunity is more important than ever. According to the Organisation for Economic Co-operation and Development’s Survey of Adult Skills, lower-skilled workers make up a significant part of the U.S. adult workforce. Meanwhile, job opportunities for lower-skilled workers have decreased. 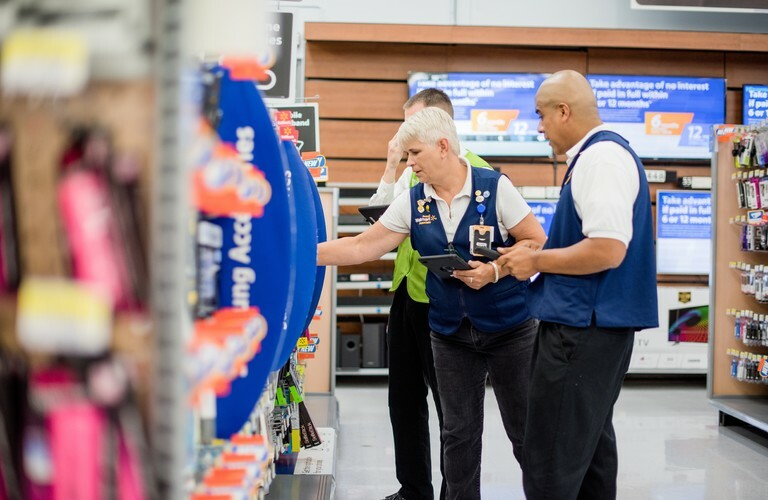 With hundreds of positions in each of our U.S. supercenter stores, Walmart offers a wide range of opportunities where the only requirement is a work-ready attitude. By removing barriers to entry, Walmart gives workers, especially hourly workers, the chance to learn important—and transferable—job skills, while earning a paycheck. We have a clear workforce philosophy built upon our guiding principles of stability and mobility. Over the past three years, we have been executing a U.S. strategy aligned with this philosophy, at scale, and with an emphasis on our hourly associates. We offer strong stability benefits, such as paid leave and a practice of providing schedules at least two weeks in advance. This means our associates are better able to take advantage of opportunities for mobility such as continuing education or our employer-based training programs. We firmly believe both stability and mobility are key to a fulfilling career. We see each job as a pathway to greater opportunity, whether it’s within Walmart, within the retail sector, or in another industry entirely. Approximately 90 percent of the U.S. population lives within 10 miles of a Walmart store or Sam’s Club.